Anticipating that Apple will launch the iPhone 5 in October, a financial analyst firm has predicted unprecedented demand for the new phone. 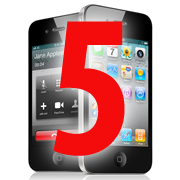 A survey of 2,200 tech-savvy early adopters taken in August by ChangeWave for RBC Capital Markets shows 31 percent very or somewhat likely to buy the iPhone 5, significantly exceeding the response for pre-launch iPhone 4 demand, which was 25 percent. RBC's financial analyst Mike Abramsky predicted that more people want to buy a new iPhone because Apple is expected to roll out a significant upgrade. "With the iPhone 4 nearly 15 months old, 66 percent of existing iPhone users are very/somewhat likely to buy the iPhone 5, pointing to a large pending upgrade cycle," Ambramsky said. He also noted that with the iPhone 5 coming to Sprint and possibly to T-Mobile in the U.S., "iPhone opportunity expands by up to 40 percent." The survey showed strong iPhone demand among Sprint and T-Mobile subscribers. Fifty-four percent of surveyed Sprint users and 53 percent of surveyed T-Mobile subscribers said they are significantly or somewhat more likely to buy an iPhone if available. Because the surveys show "the still huge iPhone opportunity," Abramsky increased the estimated iPhone sales for 2012 from 105 million units to 110 million units sold. For the first quarter of 2012 alone this figure was raised from 24.4 million to 27 million. RBC also raised the iPad estimates for the fourth quarter this year, from 10.5 million to 12.5 million units. The analyst firm states that survey data also indicates strong iPad 2 back-to-school buying. According to research conducted by ChangeWave, 85 percent of all tablet buyers plan to buy the iPad. In February, this figure was 82 percent. Only 4 percent of the respondents said they would rather buy an Samsung Galaxy Tab, 2 percent opted for an HP TouchPad or a RIM PlayBook and 1 percent said they would buy a Motorola Xoom. Ambramsky also raised revenue estimates for Apple for 2011 and 2012. Respectively, from US$108 billion to $110 billion for the former and from $134 billion to $140 billion for the latter. "We remain constructive on shares, and view valuation as compelling," Ambransky said.